Spicy Rice Stick Noodles Salad or Tum Mie for lunch in Vientiane. When you don’t have green papaya, carrot, cucumber, string beans on hands or just want to try something different, then this is something you can make in a few minutes. 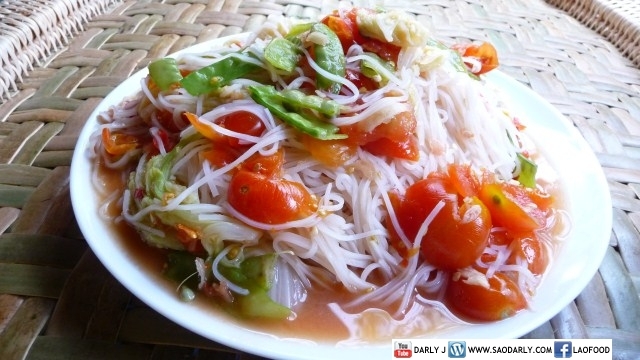 It’s just like making Spicy Vermicelli Salad and add some greens for extra taste and look.